NetEase, the Chinese developer and publisher focused on the mobile market, filed a motion to dismiss PUBG Corp.’s lawsuit against mobile games Knives Out and Rules of Survival. 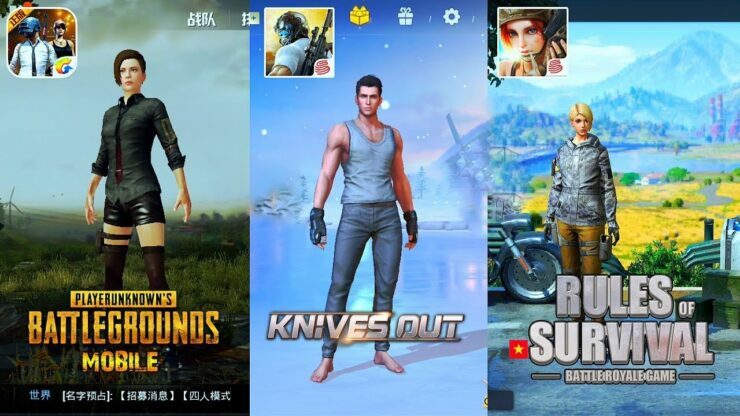 As you might remember, PUBG Corp. filed a lawsuit against NetEase back in April claiming that PlayerUnknown’s Battlegrounds suffered unfair competition, copyright infringement and trade dress infringement from Knives Out and Rules of Survival. Below you can find a summary of the argument put forth by the lawyers employed by NetEase. In related NetEase news, the publisher recently made a huge investment ($100 million) in Bungie to create “new experiences”. PUBG’s attempt to monopolize the popular “battle royale” genre of videos games fails under the Copyright Act, the Lanham Act, and California’s unfair competition law. PUBG’s copyright claim must be dismissed. Copyright only protects against the copying of original expression—not ideas, not expression so inherent to an idea that it “merges” with the idea, not elements borrowed from another creator or the public domain, and not scenes a faire that flows from any idea, merged expression, or stock treatments of a given genre. E.g. Apple Computer, Inc. v. Microsoft Corp., 35 F.3d 1435, 1443-46 (9th Cir. 1994); Capcom Co. v. MKR Grp., Inc., 2008 WL 4661479, at *6 (N.D. Cal. Oct. 20, 2008). Accordingly, PUBG’s copyright in Battlegrounds does not preclude other game developers from creating competing games based on the same underlying ideas, rules, or expression that flows from the game idea itself. E.g., Allen v. Acad. Games League of Am., Inc., 89 F.3d 614, 617-18 (9th Cir. 1996). When comparing the games for a non-infringement determination, the Court must “filter out” all unprotectable expression. Capcom, 2008 WL 4661479, at *6; see also Rentmeester v. Nike, Inc., 883 F.3d 1111, 1118 (9th Cir. 2018); Capcom U.S.A., Inc. v. Data E. Corp., 1994 WL 1751482, at *5 (N.D. Cal. Mar. 16, 1994). Once these elements are removed, the Court should compare the two works using the “virtual identity” standard applied both to games in the same genre and to works that express real-world objects. See Frybarger v. Int’l Bus. Machs. Corp., 812 F.2d 525, 530 (9th Cir. 1987); Satava v. Lowry, 323 F.3d 805, 812 (9th Cir. 2003). PUBG cannot show substantial similarity, much less the required virtual identity. Accordingly, its claim fails. PUBG’s Lanham Act claim identifies no trade dress distinct from its copyright claim, and alleges functionality of claimed elements. It must be dismissed because it improperly conflicts with copyright and patent law. See, e.g., Dastar Corp. v. Twentieth Century Fox Film Corp., 539 U.S. 23, 37 (2003); TrafFix Devices, Inc. v. Marketing Displays, Inc., 532 U.S. 23, 29 (2001); Summit Mach. Tool Mfg. v. Victor CNC Sys’s, 7 F.3d 1434, 1438 (9th Cir. 1993). PUBG fails to allege necessary elements to state a claim under California Business and Professions Code §17200, its predicate “unlawful” acts fail with its Copyright and Lanham Act claims, and it, along with PUBG’s common law claim, is preempted by 17 U.S.C. § 301.